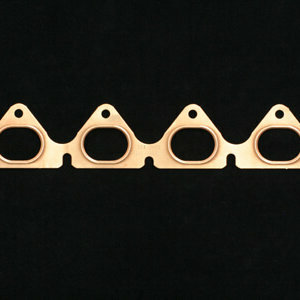 Pro Copper Head Gasket for Honda D series 1.6L and 1.5L single overhead cam engines. Gasket Thickness: .043″; Bore Opening: 3.00″ (76.2mm); Material: Annealed Copper. *Pro Copper head gaskets require sealant and O-rings in the block or head. For self sealing copper head gaskets for use with O-rings please see Titan series (T913 _ _) Package Contents: 1 Piece.